STRIPED BASS fishing has improved as school bass migrate into the estuaries and tidal rivers. Larger stripers can still be caught on the local reefs and rip areas. 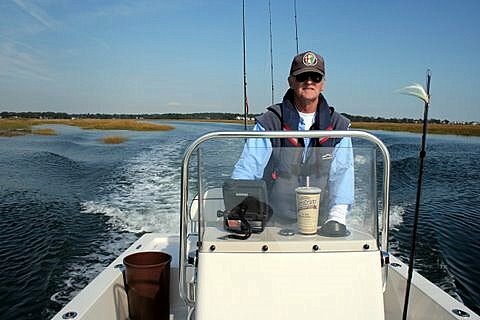 Top water plugs along with live eels or bunker (Atlantic menhaden) on three-way or slider rigs have been the ticket. BLUEFISH fishing is also good with some bruisers weighing in the upper teens being reported! Fishing spots include the Watch Hill reefs, Ram Island Reef in Fishers Island Sound, lower Thames River, the Race, Sluiceway, Pigeon Rip, Plum Gut, outer Bartlett Reef, Black Point, the “humps’ south of Hatchett Reef, lower Connecticut River, Long Sand Shoal, Cornfield Point, Southwest Reef (outer), Six Mile Reef, Falkner Island area, the reefs off Branford, New Haven Harbor, Charles Island area, lower Housatonic River, buoys 18 and 20 off Stratford Point, Stratford Shoal/Middle Ground, Penfield Reef, around the Norwalk Islands, and Cable and Anchor Reef. SNAPPER BLUEFISH fishing has slowed down but there are some large stragglers around. BLACKFISH fishing is good to excellent. It has been a steady bite. A 12 pounder off Bridgeport is the biggest reported. Any of the rocky reefs, rock piles, and wrecks in LIS will hold tog. Green, Asian or Hermit Crabs will work. Consider putting the crab (bait) on a jig (1/4 to 1 ounce). It’s been a shallow water bite (6-30 feet). Togs will move deeper as the water cools. BLACK SEA BASS and PORGY fishing continues to be excellent! Any of the rocky reefs will provide nonstop action. Fishing is good to excellent throughout LIS. Time is slipping away... so the time to go is now! Shore fishing spots for scup Enhanced Shore Fishing Opportunities. ATLANTIC BONITO and FALSE ALBACORE fishing is still good. Points east are better as they migrate out of the sound. Watch Hill and Montauk has been red hot. Look for hovering and diving gulls and terns to give away their location. The key is...to match the hatch. The hatch can be really small (I inch or smaller in the western sound). Use nothing more than 15 pound mono or fluorocarbon (smaller the better). • Would You Like Plastic With Your Fish? • The Fall Run: What Lures Match What Baitfish?